this is Top 5 Hotels in the world, please choice and enjoy ..
Il Falconiere is set in the Tuscan countryside, just outside Cortona. Here you can enjoy outdoor and indoor pools, and unique and large rooms with air conditioning. Parking is free. Il Faconiere Hotel's outdoor pool is set in the garden, and is surrounded by sun beds and deck chairs. Hotel Il Falconiere's restaurant serves typical Tuscan dishes for lunch and dinner. Four Seasons Hotel Istanbul at Sultanahmet. Created from a century-old neoclassic Turkish prison in the core of this fabled city – steps from the Blue Mosque and Topkapi Palace. Just 65 guest rooms and suites frame an open courtyard, for an atmosphere of personal attention and ease unprecedented in Istanbul. 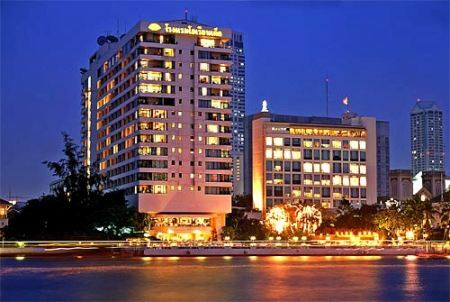 For more than 130 years distinguished travelers have followed the legendary Chao Phraya River, through the heart of Bangkok, to the doors of one of the world’s most luxurious hotels, Mandarin Oriental, Bangkok. A paragon of contemporary luxury and rich in history, our hotel is filled with stories of the celebrated guests who have considered us home during their world travels. Singita Sabi Sand offers rare solitude and the ultimate in safari luxury on prime game viewing land recognised globally for its diversity and formidable concentration of big game and frequent leopard sightings. 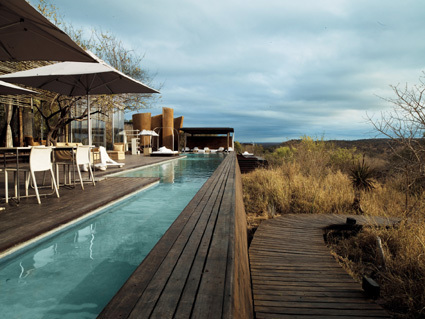 Guests can choose between three unfenced lodges, infused with the glamour and elegance of Singita. The Oberoi Group has been acknowledged as one of the best hotel groups in the world. The Oberoi Vanyavilas, Ranthambore has been ranked the world's best hotel by Travel and Leisure Readers Poll for 2010. In addition to this,The Oberoi Amarvilas, Agra has been ranked the fifth best in the world, The Oberoi Rajvilas, Jaipur is ranked the thirteenth best in the world and The Oberoi Udaivilas, Udaipur has been ranked the fifteenth best hotel in the world. The same poll ranks them as the top 4 hotels in Asia. Oberoi Hotels and Resorts has been ranked as the Best Hotel Chain outside United States of America in 2007 and the Best Hotel Chain outside the United Kingdom in 2008. Trident Hotels have been ranked the ‘Best First Class Hotel Brand’ at the Galileo Express Travel World Awards for four consecutive years since 2004.